In fact, Pink Bird was one of Yellow Bird’s favorite friends, because Pink Bird always had something good to say. She would tell about how, when she was very young, she travelled to a far away place. “Listen for what?” was what Yellow Bird kept asking. “Listen for what?” was on Yellow Bird’s thoughts each day. 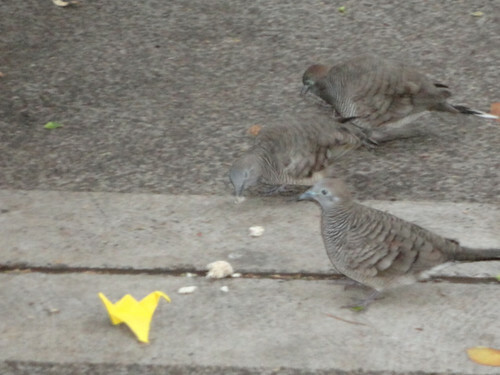 But Yellow Bird had many friends and they all liked to play and laugh and to have fun. 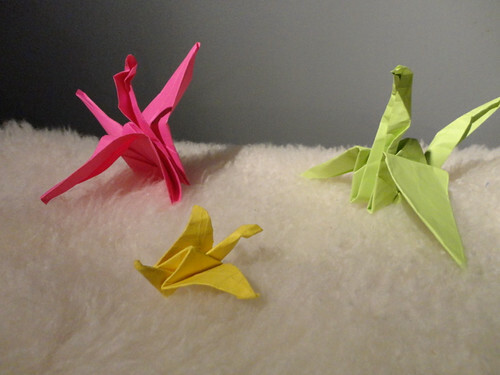 And so, many days would pass between the times when Yellow Bird would talk with Pink Bird. Even so, Yellow Bird kept Pink Bird close to her heart. Then one day. Then one day. Yellow bird was playing with her friends. Yellow Bird heard something. Yellow Bird was confused. She had heard something. But nobody else did. Did that mean she was mistaken? She joined the others in their play and forgot about what she had heard. But only for awhile. Later that night, when she was alone, Yellow Bird thought again about what she had heard. At first, she thought that maybe, maybe she made a mistake. Maybe she did not hear anything. So as Yellow Bird fell asleep that night she thought about Pink Bird, and she thought about her friends. And she also thought about what she might hear if she really listened. 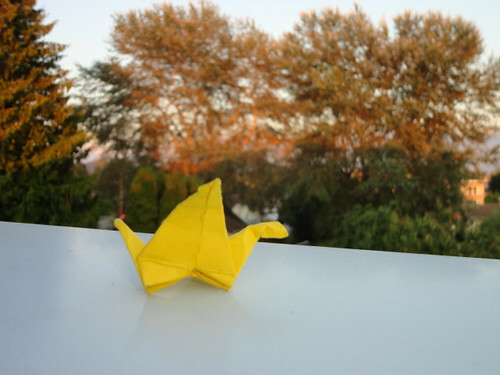 That night Yellow Bird dreamed about flying. She loved to fly in the sky. That is what she loved to do the most. But her dreams then turned to sounds of sadness. The sounds were from somewhere far away. She heard children crying. She heard birds dying. She heard too many things for one dream. So then she woke up. Yellow Bird was sad. She felt so much sadness from her dream. But she did not know why. 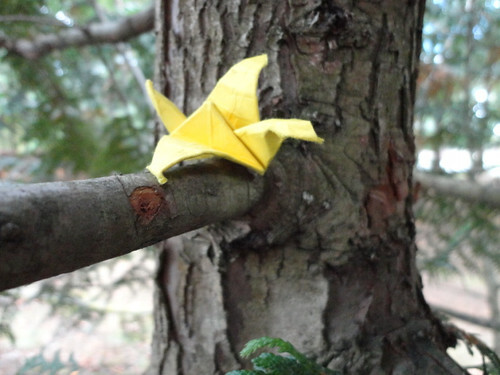 Many days passed and Yellow Bird had more dreams about flying. And she also had more dreams about children and birds in a far away place. Then one day. Then one day. Yellow Bird was by herself in a very quiet place. She was thinking about flying and she was thinking about her friends. She was. 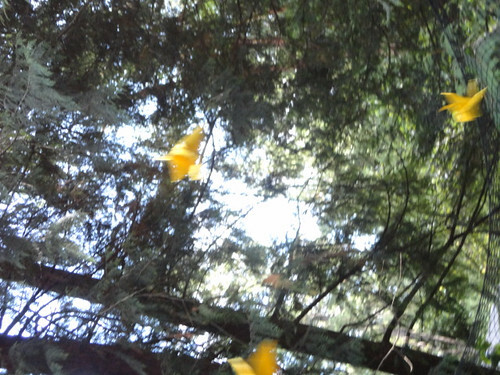 Then Yellow Bird felt and heard something. This time the cries for help were clear. This time Yellow Bird was listening. And what she heard made her cry. She heard that there is a place where children, and birds and animals all live every day where they are afraid all of the time. 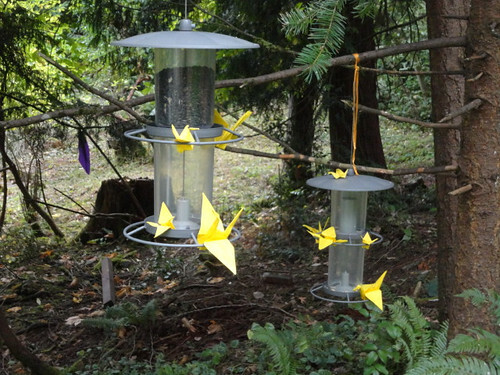 Yellow Bird heard the cries for help from the children, from the birds, from the animals. She heard their cries for help. Yellow Bird now felt she had to do something to help the children, the birds and the animals. Of course, the first thing Yellow Bird did was to go to talk with Pink Bird. “What have you heard?” said Pink Bird. “I have heard many things in my life and they are all important,” said Pink Bird. Again Yellow Bird was not sure what she could say or think. Sometimes Pink Bird was too much for Yellow Bird to understand. But this time Yellow Bird understood. “So then you must go,” said Pink Bird. But Yellow Bird did not know where she should go to help. That is when Pink Bird stopped for awhile to sip some of the tea that she and Yellow Bird were enjoying. But Yellow Bird had not really listened to her dreams. As Yellow Bird thought about her dreams, she remembered children and birds and animals who were very sad.